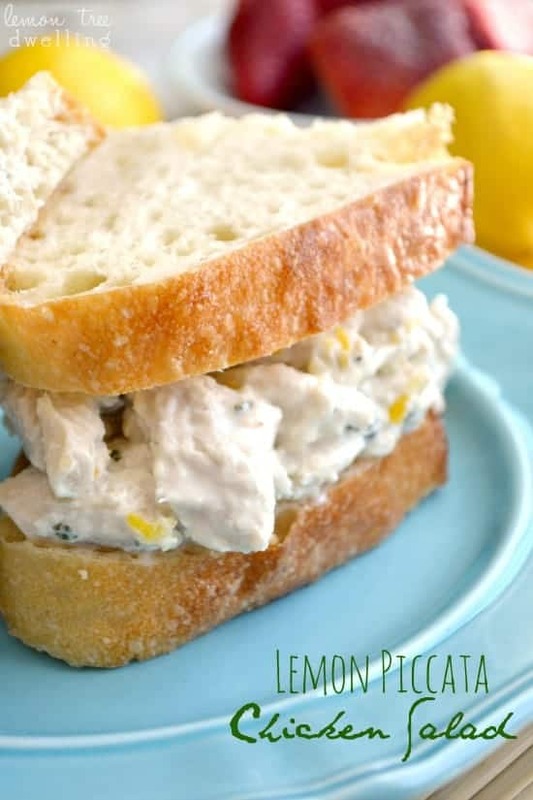 Chicken Salad meets Chicken Piccata with a light, lemony twist! A long, long time ago, when Jorden and I were newlyweds, he decided to surprise me one night by making me dinner. I don’t remember anymore if it was for a special occasion or “just because”….but I do know he was excited to try his hand in the kitchen! He knew exactly what he wanted to make and took care of everything….and I was excited to have a romantic dinner made for me! I will never forget when I walked into the kitchen and saw the wreckage – dirty pots, pans, and bowls everywhere; bits of chopped lettuce and carrots littering the floor; nearly every spice jar from our cabinet cluttering up the counter top, some knocked over and spilling out; a look of utter defeat on his face. It was a disaster! But. Dinner was delicious (cornish game hens and chopped salad) and knowing how much it had taken out of him made it that much more special! Needless to say, that was the one and only dinner Jorden ever made for me….and part of the reason is he bit off a little more than he could chew! It’s the same way I feel about chicken piccata. I LOVE chicken piccata like none other….but there is something about pounding and prepping and perfecting the chicken that completely overwhelms me! I’m pretty sure it’s all in my mind, but either way, my feelings about it keep me from making (and enjoying) it. 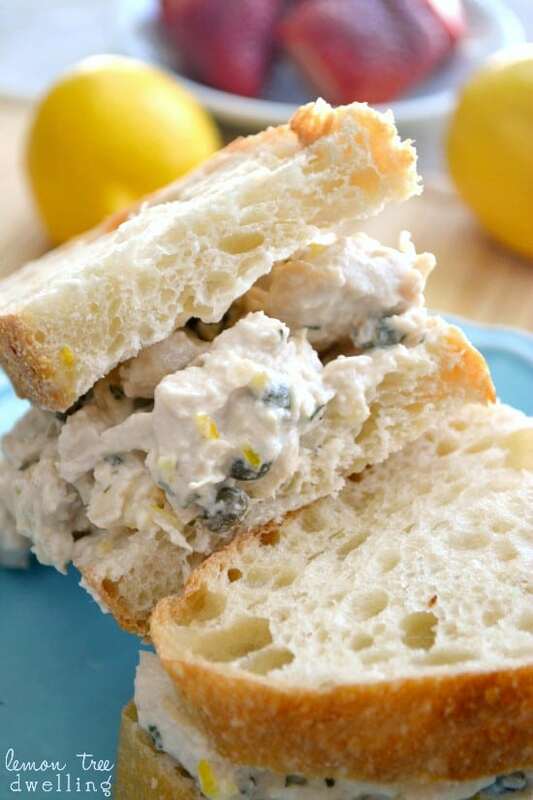 Which is why this Lemon Piccata Chicken Salad is PERFECT! It has all the flavors of chicken piccata, without all the daunting prep work. Just right for someone like me, who wants the delicious meal but doesn’t necessarily want a kitchen full of dirty pots and pans, a counter top full of spilled spice jars, and a floor full of food scraps….just sayin’! Combine all ingredients in medium bowl and mix well. Serve in a sandwich, on top of a salad, or all on its own! 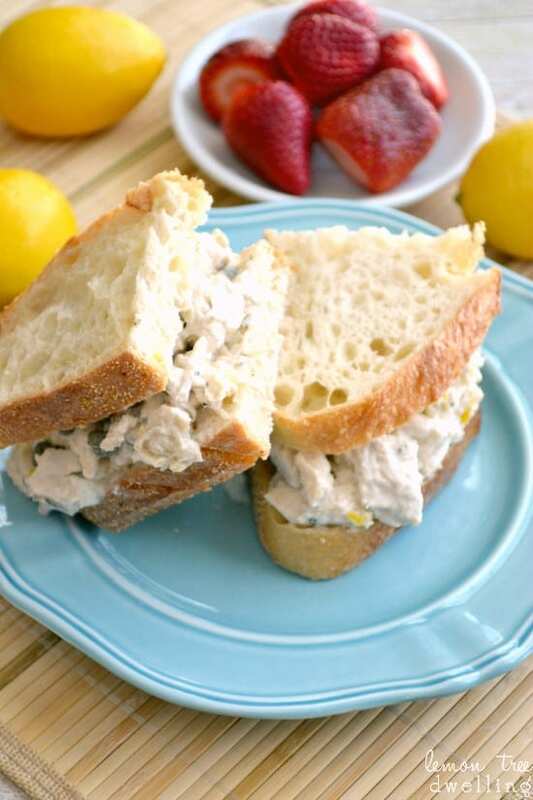 Looking for more delicious lunch or dinner ideas? I love this idea, Cathy! All of the flavor without the work – sounds amazing!! 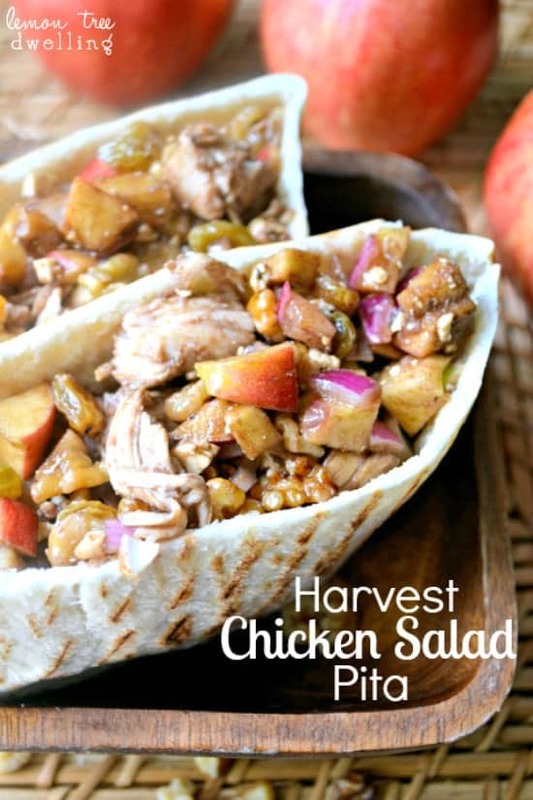 I will have to try this with leftover chicken! Yum! Such a beautiful sandwich, Cathy! I love that there’s no mayo in it. What an amazing idea! I so want one of these right now! This has to be one of my favorite go-to meals. Now in a salad, brilliant! What a great idea! This looks really, really tasty. Pinned! Awww! That’s so sweet that he worked so hard on dinner for you! My hubby is a great cook! He will usually cook on the weekends since our weekdays are so hectic! I so can not wait to give this a try! 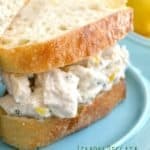 I love love love chicken salad and this could be my new BFF. Yum, I am just devouring it with my eyes haha! 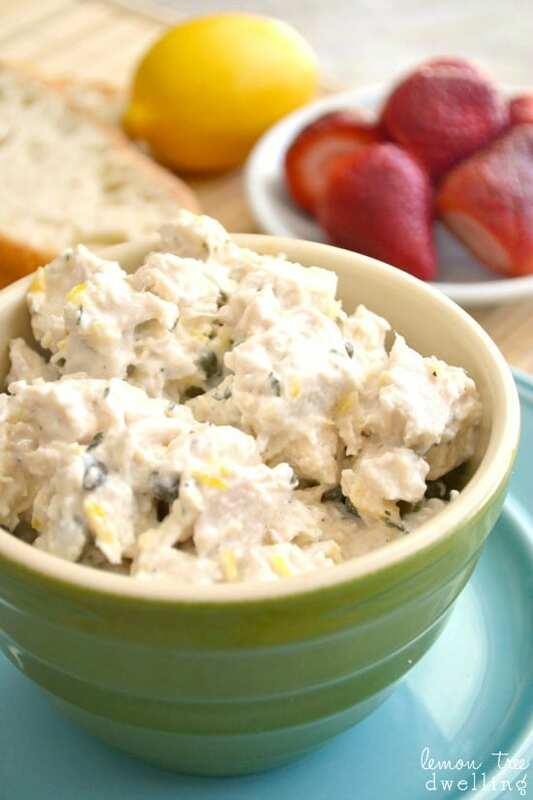 This is a great idea for a chicken salad, Cathy! This looks so much easier than the “real thing”. Easy is a must have in my book 🙂 Amazing! 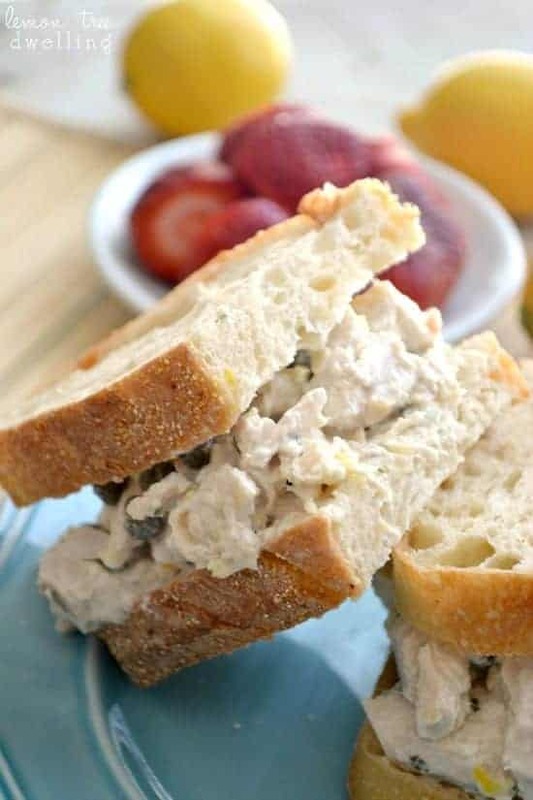 Love capers and chicken…don’t know why I never thought to put it into a sandwich. Pinned to my lunch board. I just made this & it is wonderful!! Very fresh tasting! I didn’t have any 1/2 & 1/2 so I substituted a little bit of cottage cheese for creaminess! Thanks for a great recipe! Oh my gosh, I’m the same with chicken piccata!! I love it but there’s something that I just cannot stand about pounding the chicken out, dredging it, cooking it…it’s all so overwhelming! 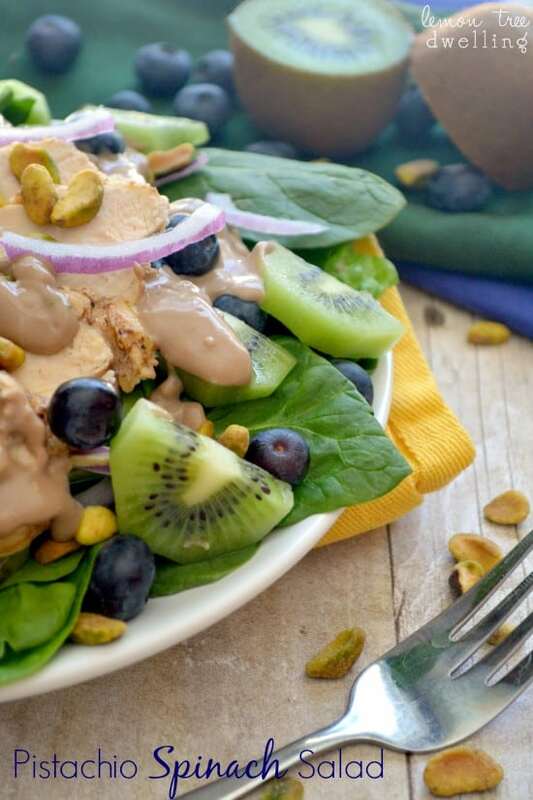 This chicken salad is the perfect compromise. Flavor without all the work. Thanks for the recipe, Cathy!